Have you *seen* the food lineup, though? 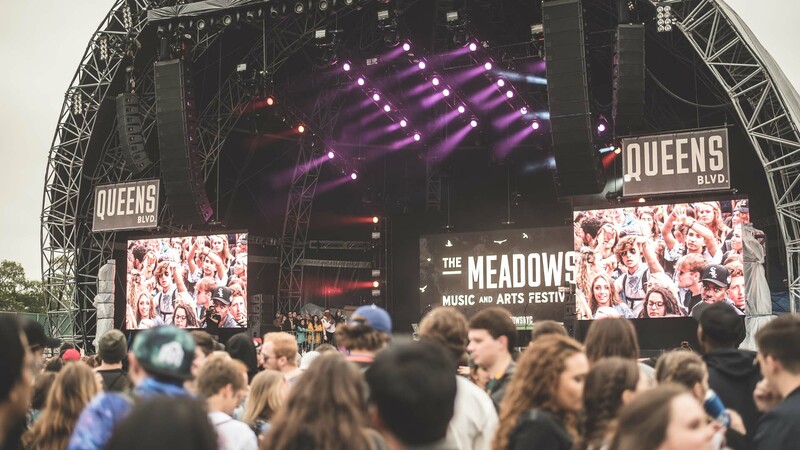 JAY-Z, Nas, LL Cool J, Joey Bada$$, Action Bronson, Ghostface Killah, De La Soul, Migos, Future—for hip-hop aficionados, The Meadows Music & Arts Festival is the be all end all when it comes to must-attend events this year. Since the lineup for the fest's sophomore edition was announced earlier this year, we've been (semi-patiently) counting down the minutes until we got to see all of our favorite acts take Citi Field, and now the time has finally arrived. Aside from the esteemed emcees hitting the stage this weekend, attendees can bank on groundbreaking performances from headliners Gorillaz and Red Hot Chili Peppers, as well as fan favorites like M.I.A., TV on the Radio, Bassnectar, Weezer, and Two Door Cinema Club. While that alone is enough to lure any music lover to the grounds this weekend, there's another element that has us a-m-p-e-d: the "Feastival of Queens", a food section highlighting the best eats in the borough. Curated by culinary writer Joe DiStefano, the foodie's mecca will offer Colombian treats from Arepa Lady, bites from Dumpling Galaxy, Vietnamese sandwiches from JoJu, and more. To get pumped for the weekend ahead, check out our Complete Meadows Music + Arts Festival Playlist below, which features tunes from every artist on the roster this year. Don't have your tickets yet? No worries there's still a few left on their site here!